There is a £2-£3 delivery charge within the 4 mile radius of our shop. Please call for more information. You are very welcome to call and collect at no extra charge. We deliver to your home within a 4 mile radius of our shop. The image below shows you the surrounding areas we go out to. 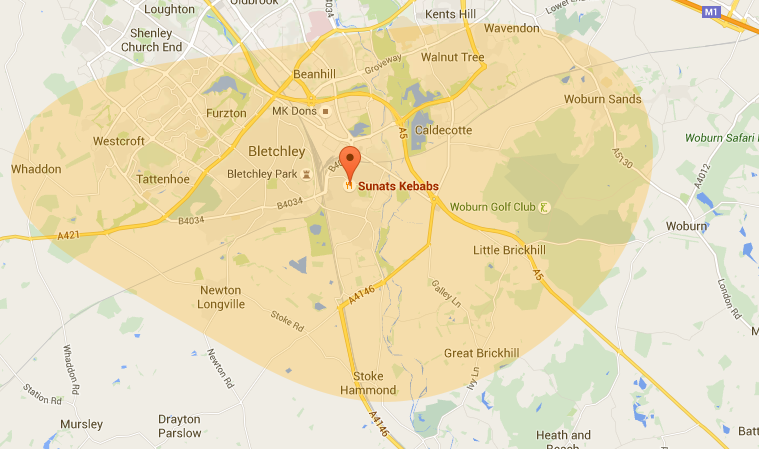 If you are just outside of the highlighted area then please call and we can confirm if we deliver to your area.